Hello my favourite people. Thanks for your kind words and support during this trying time. God bless y’all. I am so sorry I have not been consistent with my diary. Lost my mum (who also was my best friend). I am sure you guys have been good. Well the 2nd best team in the world (yes being 2nd best to Barcelona isn’t bad) has not disappointed since the start of the season with 3 wins in 3 games and they are also sitted at the summit of the EPL table. I am sure you know it’s Man Utd I am talking about. The victories over Westbromwich Albion and Tottenham Hotspurs did not come as a surprise to many of you but the 8-2 victory over Assnal would be a shocking result even to Sir Alex Ferguson. The result sure prompted Messr Wenger and the Arsenal board to spend before the transfer window closed on the 31st of August. 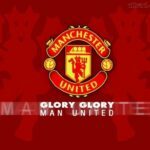 The season has been a good one thus far for Man Utd and I hope we retain the EPL though the UEFA Champions league is what I would want the Red Devils to win this season. Truth be told, it can’t happen. No major signings as far as I am concerned. To beat a team like Barcelona you need players that can compete with them. I am a Man Utd fan but my best player at the moment is Andreas Iniesta of Barcelona and trust me the whole of the Barca midfield is enough to destroy any team and I repeat any team in the world. I watch the Barcelona team and at some point I get dizzy because they knock the ball around swiftly and beautifully. Enough of the Barca gist. I am happy with the signings the gaffer made but shocked he didn’t hold out for the Wesley Sneijder deal. He would have at least made the team look solid and more competitive after the retirement of Paul Scholes. I am sure the manager has being deceived with the bright start to the season. Anyway, I can only hope for the best. The Red Devils have been tipped to retain the premier league title but I have fears especially in the goal keeping department of the team. David De Gea has let in goals only pregnant women are permitted to concede which isn’t good for a side that has champions league ambitions. The past 3 games has shown the quality of the side with loanees Danny Welbeck and Tom Cleverly being impressive so far and Chris Smalling showing he has what it takes to be an all round defender (playing at right back). 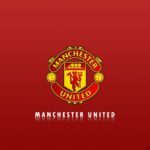 Johnny Evans and new recruit Phil Jones have also shown their capability by making the absence of Captain Nemanja Vidic and Rio Ferdinand seem unfelt. The Westbrom game was kinda tough with the way the game panned out but the Red Devils are known for their ability to grind out results when it matters most. What struck me was Ashley’s Young’s performance. He looked like he had been in the team for years which is good. His shot was deflected into the net by two Westbrom players to give Man Utd an opening day away victory. An away victory was a rarity for the Red Devils last season but I hope this season would be different because other teams especially Man City are not smiling. 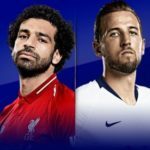 Game two of the season against Spurs was another massive game and it looked like the London side were ready to settle for a draw (who wouldn’t be happy with a draw at Old Trafford?). The 1st half ended goal less but I am still trying to figure out what the boss said to the boys in the dressing at half-time. They came out hot scorching, firing on all cylinders and ran away 3 nil winners with Anderson, Welbeck and Rooney grabbing the goals. Danny Welbeck for me was the Man of the match. It was a great night to be a Man Utd fan especially with the way the young defence held their own. Game three was against the Gunners. Was so confident about a victory because we were facing a depleted Arsenal side. My cousin Damilola (An Arsenal fan) was so sure his team would lose predicting a 6 nil score line . Well he was right to an extent 8-2 and 6-0 are about the same thing. Danny Welbeck again was impressive though he had to be forced out in the 1st half after pulling his hamstring. The day however belonged to Wayne Rooney. He scored an impressive hatrick (2 freekicks and a penalty) to take the match ball home but Ashley Young’s brace will however make the headlines for me. Both goals were beautiful curlers. I was so shocked it was Assnal that was beaten that way but then who Man Utd no fit flog like that. I was so proud of the boys. The average age of the Red Devils on the day was 23 while the average age of the Gunners was 23.6. Truth be told Arsenal had key players missing but trust me if those players were available they would still be beaten black and blue. 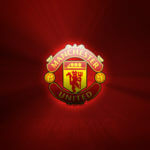 My man of the match for the 1st three games were Ashley Young, Danny Welbeck and Wayne Rooney respectively. The brilliant display of these young trio (Cleverly, Jones and Smalling) earned them a call up to the English national team with Smalling starting the game. Who was amongst the scorers in the 3-0 victory over Bulgaria for England? ROOOOOOOOOOOOOOOOOOONEY. He bagged a brace and Ashley Young had a nice game too creating 1 of Rooney’s goals. Smalling was his awesome self in the right back position. Victory pushes England close to qualification for Euro 2012.